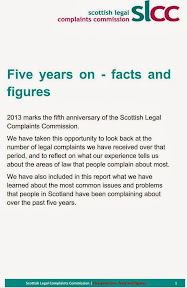 Independent’ regulator has made no difference to poor standards in Scotland’s legal profession STRUGGLING to shake off it’s pro-lawyer, anti-client image, the Scottish Legal Complaints Commission (SLCC) published its 2012-2013 annual report last week, revealing the regulator now deals with more complaints per year. 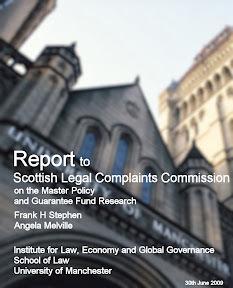 The report also reveals the SLCC’s ‘free’ mediation service, which is generating costs & fees of over £45K to mediators, is resulting in a rising numbers of complaints resolutions instead of cases going on to investigation, determination, and potential disciplinary action against rogue lawyers. 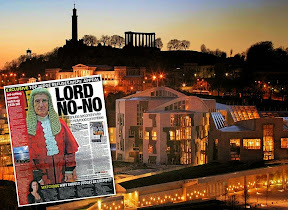 The so-called ‘independent’ regulator of lawyers created six years ago by the Scottish Government at a staggering multi-million pound cost to taxpayers which has never been paid back, also published claims it made compensation awards and fee rebates to clients who were victims of crooked law firms to clients of “over £250,000. 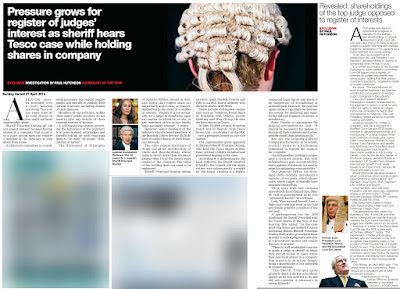 Claims of a feather don’t necessarily match together – SLCC 2012-2013 annual report Figures contained in the SLCC’s own annual report reveal a very different version on the ‘over £250K compensation figure’, showing that law firms are regularly refusing or delaying to pay fines imposed on them by the regulator, forcing the SLCC to resort to costly court action when dodgy law firms & lawyers refuse to pay up to clients now turned into financial victims. 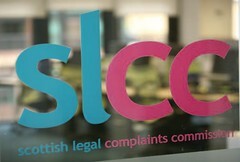 Figures in the annual report actually reveal there were 49 cases where the SLCC was forced to take recovery action against solicitors & law firms who refused to pay up after the SLCC had made compensation awards to clients.The SLCC said it’s action recovered over £72,000 of compensation for complainers in these cases but gave no further details of the cases concerned. 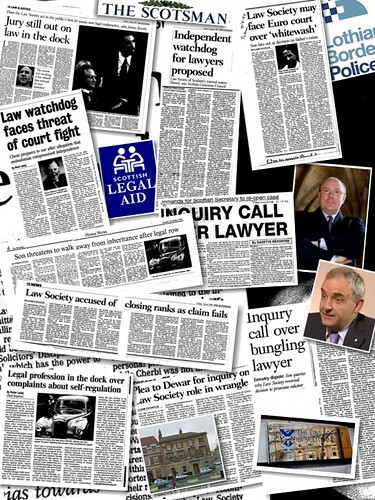 In two cases, the SLCC was critical of the Law Society’s administration of the investigation and/or its decision-making. 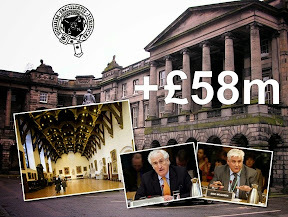 The regulator revealed the Law Society paid a total of £500 compensation to the complainers (plus £20 towards their costs). 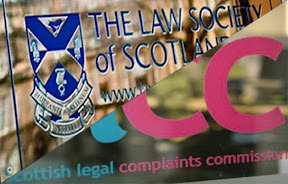 The SLCC also asked the Society to reconsider one of these complaints which resulted in a complaint being upheld which the Society had previously decided not to uphold. 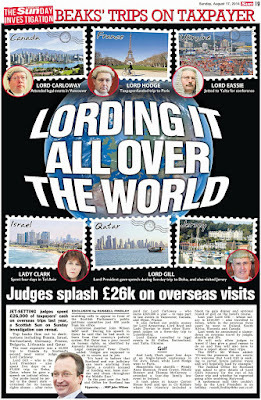 Perhaps unsurprisingly, the SLCC found that in the two other cases, the Law Society had carried out its investigations generally satisfactorily. 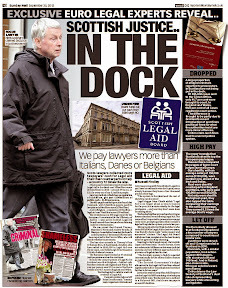 (ii) Solicitors and their ‘professional representatives & support organisations’ (aka Legal Defence Union, Law Care, Law Society etc) are manipulating paperwork, dates of legal work carried out on behalf of clients, and also the regulator’s mediation service to ensure lawyers who are subject of complaints remain in a job with a clean record, thus avoiding claims for negligence, dishonesty and sanction as a result of prosecution before the Scottish Solicitors Discipline Tribunal . Once hailed as a hope to clean up crooked lawyers, the SLCC achieved so little in 5 years. The SLCC also published a five year review of it’s work, which can be viewed online here : The SLCC Five Years On - Facts & Figures. 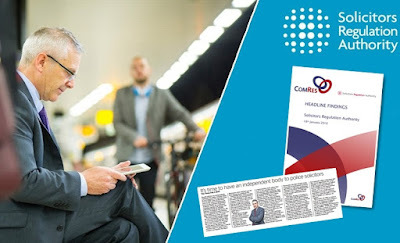 Commenting on the review, Bill Brackenridge, SLCC Chair said : “The review is a good measure of progress and while there is still work to be done it clearly demonstrates the benefits of having an independent regulator. 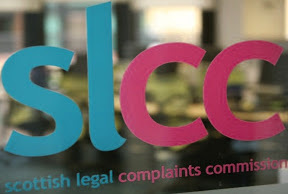 I would encourage the profession to continue to work closely with the SLCC in order to promote best practice, further reduce the number of complaints and continue to improve the reputation of the legal sector with clients, the public and stakeholders”. 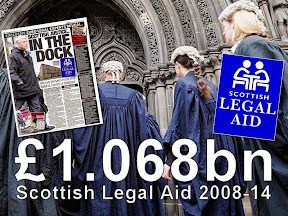 In reality, the Scottish Legal Complaints Commission has moved on little since its creation in 2008. 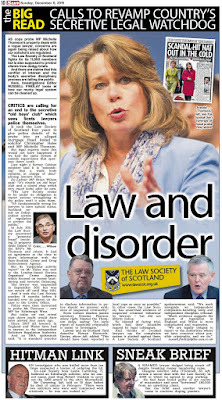 Consumers of legal services in Scotland are as unprotected now as they have been for decades under the lawyer investigates their own culture of the Law Society of Scotland. 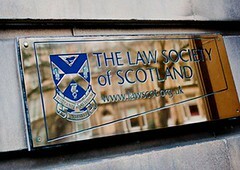 Indeed, the Law Society of Scotland appears more in charge of regulation of its own member solicitors than ever before, leaving the SLCC as some bystander, far from innocent, and far from having the will to clean up legal services or protect consumers from the costly consistent horrors of dealing with Scotland’s legal profession. 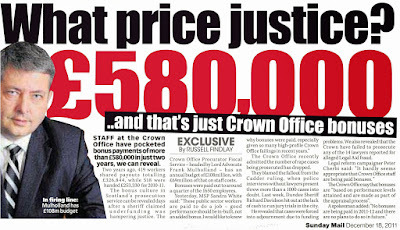 The cost of this five year stand still you ask? 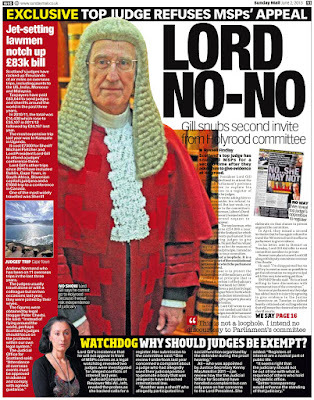 Well, poor legal services in Scotland for one, poor client protection for another, hundreds of lawyers escaping regulation & penalties, and a whopping £3 million pounds a year to run the Scottish Legal Complaints Commission on top of the millions every year Scottish solicitors take in ill gotten gains from clients and get away with it. 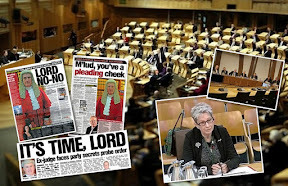 Of the 134 cases eligible for mediation in the last year, 43 cases were settled at mediation, 14 cases were not settled at mediation, 1 case was withdrawn by the complainer, 76 cases were marked as "did not happen", which refers to the fact that the parties did not agree to go to mediation. 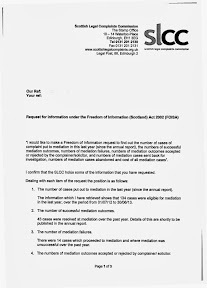 In spite of claiming its mediation service to be free (to clients), the SLCC disclosed in its FOI response the total cost representing the cost of the mediator and the room hire etc amounts to £45,210. 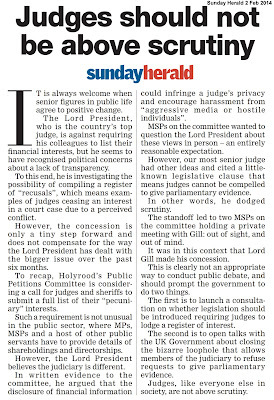 Annual report of Judicial Investigator calls for Scottish Govt action, raises concerns of judicial transparency. 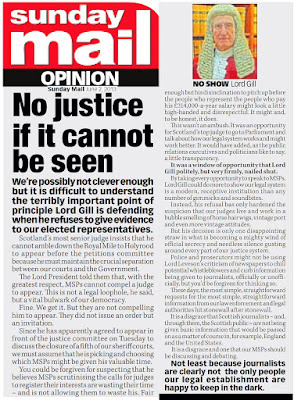 MOI ALI, Scotland’s first ever Judicial Complaints Reviewer (JCR) has today published a damning report on how the judiciary deal with complaints made by members of the public against Scottish judges. In her second annual report, Moi Ali details case histories, problems with confusing rules, and raises a series of significant concerns over the lack of scrutiny & transparency in the judiciary. 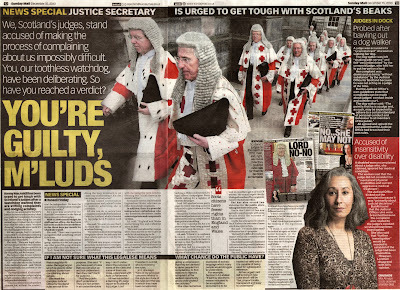 Ms Ali has spoken in the media at length regarding her annual report, calling on the Scottish Government to raise the level of scrutiny of the judiciary and give the JCR extra powers which already exist in England & Wales. 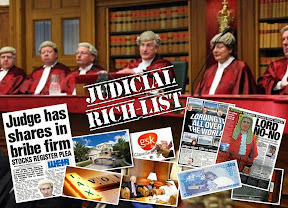 JCR admits office lacks much needed powers – Report. 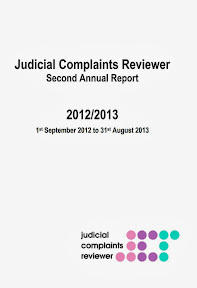 The Judicial Complaints Reviewer’s 2012-2013 annual report is published today on the JCR’s website, available here or can be viewed online via DOI here. 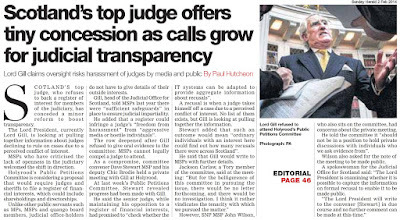 Among many issues of concern raised in the JCR’s annual report are instances where the Judicial Office has refused to share files and paperwork in relation to complaints made against judges and how were handled. 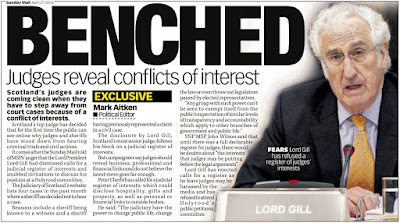 The report also makes reference to refusals by Lord President Lord Brian Gill to hand over information to the JCR, claiming Moi Ali’s office is a "Third Party" and that data cannot be shared with her office for reasons of confidentiality. 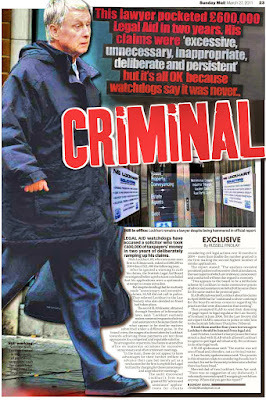 while in England & Wales, the same information is published online. 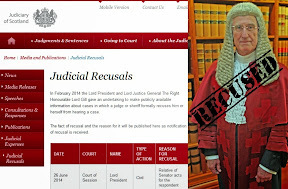 It also emerged that even though a Memorandum of Understanding was signed between the JCR & Judicial Office earlier this year on respective roles, responsibilities and agreed undertakings, the situation regarding the contents of files has not been resolved to Ms Ali’s satisfaction. 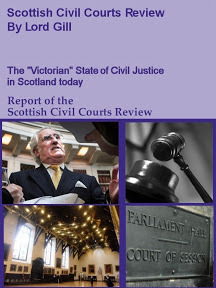 JCR publishes consultation on rules. 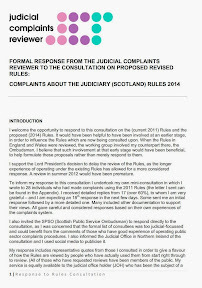 Additionally, and of equal importance, the Judicial Complaints Reviewer has also published a highly critical and detailed consultation response to the Lord President on proposals to revise rules on complaints against the judiciary. 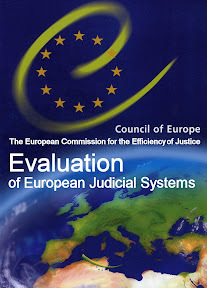 The consultation document can be viewed online via DOI here : Judicial Complaints Reviewer Responses re Rules consultation public document. Moi Ali has recommended significant changes to rules on judicial complaints, clarity of procedures and also the amending of rules to allow complaints to be made about the Lord President, something which currently cannot be done. 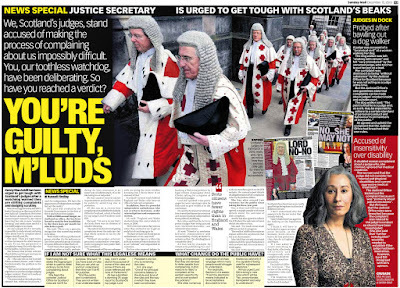 The Sunday Mail newspaper reported this weekend on issues raised in the JCR’s second annual report, including calls from Moi Ali for the Scottish Government to act over the lack of scrutiny and transparency in Scotland’s judiciary. 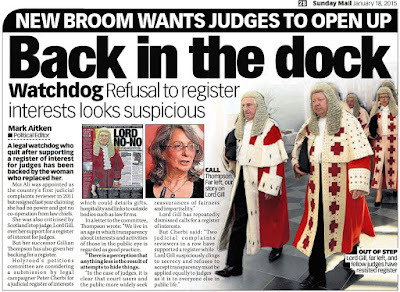 A judge was accused of a "tyrannical rant" at a woman walking her dog. The dog walker was left "shaking with nerves" and felt "very intimidated" by the unnamed judge, who told her to put her pet on a lead. 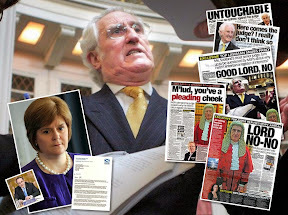 Her complaint was dismissed as being "without substance" by the Judicial Office for Scotland because he was not acting as a judge at the time. But the Judicial Office's own guidelines state that complaints can be made about judges' conduct inside and outside court. 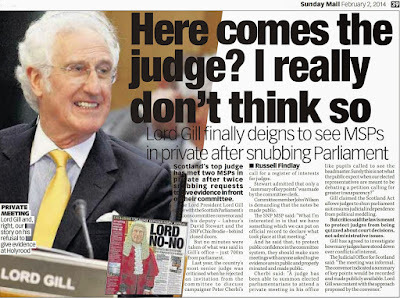 The dog walker said ; "The point is that he is a judge and. 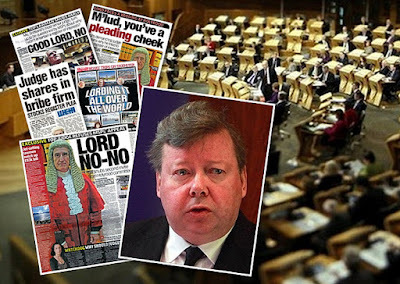 as such, may be expected to adhere to a certain standard of personal conduct and behaviour to all members of the public." Ali agreed and upheld the complaint that the Judicial Office had breached their own rules. 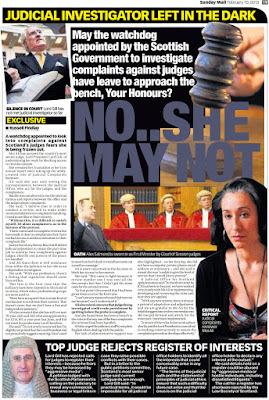 A disabled woman complained about a judge who, she claimed, ignored her medical condition. The woman said that the judge did not consider her "mental and physical disabilities and current aggressive medical treatment". The Judicial Office kicked out the complaint because it was "primarily about judicial decisions". 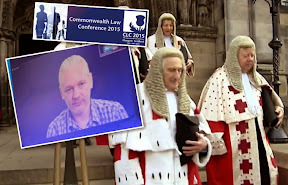 But Ali found that the Judicial Office rules were breached because the complaint also related to the judge's conduct so should have been investigated. 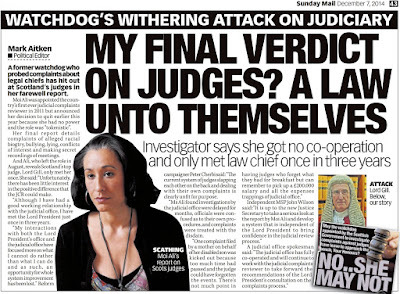 She also said that "further investigation" would be needed to establish if the judge had been insensitive. 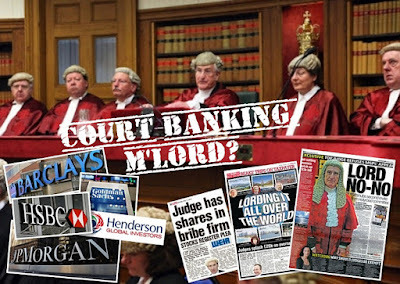 Tribunal & regulators fail to protect public from crooked lawyers. 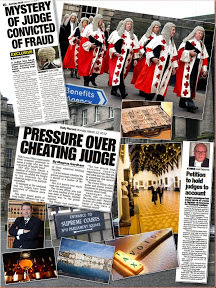 A PARADE of recent cases before the Scottish Solicitors Discipline Tribunal (SSDT), involving solicitors who previously appeared before the tribunal on numerous similar complaints, only to be put back into profession with a light fine or slap on the wrist, confirm the current system of self regulation of Scotland’s legal profession is failing to protect the public, consumers of legal services and established clients of law firms. 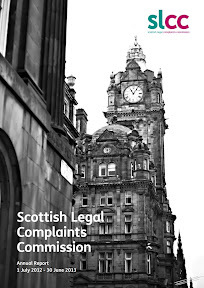 Last month, the Scottish Solicitors Discipline Tribunal met to consider seven complaints lodged by the Council of the Law Society of Scotland against solicitor Alistair George Kay, who previously appeared before the SSDT in 2007 on a number of complaints and was found guilty of Professional Misconduct, fined £1000 and censured. 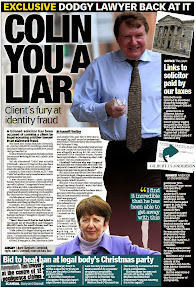 A now familiar and recurring tale of how solicitors treat their clients, how law firms fraudulently manage clients finances and law firms accounts, emerges in further excerpts of the SSDT’s report which stated “The Respondent’s conduct was an ongoing course of conduct that covered a period in excess of four years.The Respondent’s conduct clearly presented a danger to the public, a clear example of that being the effect of his conduct on the executry of Ms A.The Respondent’s conduct was extremely likely to seriously damage the reputation of the legal profession. 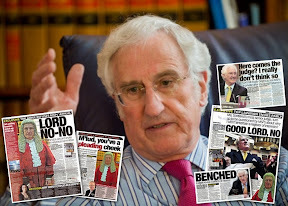 His complete failure to co-operate with his professional body could be seriously detrimental to the public trust in solicitors. 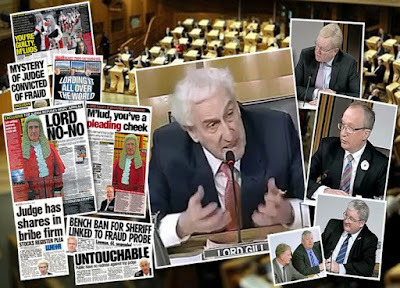 The way the Respondent had failed to respond to these matters as they each arose demonstrated both a lack of remorse and insight into the consequences of his conduct. 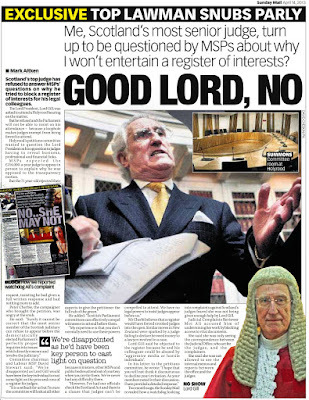 The Respondent’s conduct clearly demonstrated that he was not a fit person to be a solicitor. 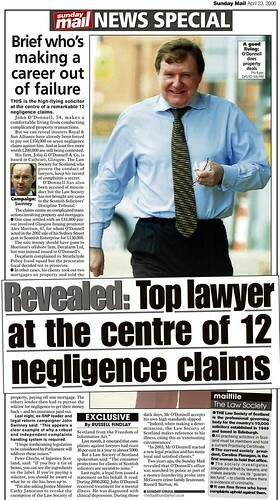 His misconduct was directed towards his own professional body, his colleagues, the Master Policy insurers, and most seriously his own clients. The Tribunal considered that there were two particular aggravating factors to the Respondent’s case which caused it a great deal of concern. 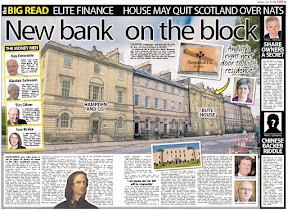 The first was the Respondent’s willingness to resort to dishonesty to try to cover his misconduct, by making false declarations in five separate accounts certificates. 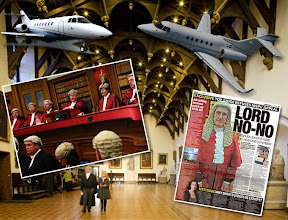 The second was the apparent complete lack of care or concern on the part of the Respondent for his own clients as particularly demonstrated in his behaviour in relation to the executry of Ms A, resulting in particularly difficult consequences for that executry. 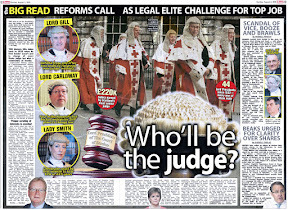 The Respondent has also failed to take any part in the Tribunal proceedings. 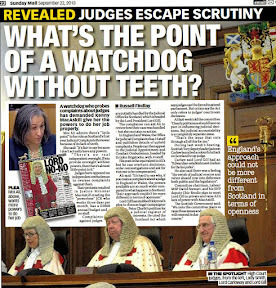 Commenting on the tribunal's findings, a legal insider said the SSDT and the Law Society could and should have stopped Kay much earlier. 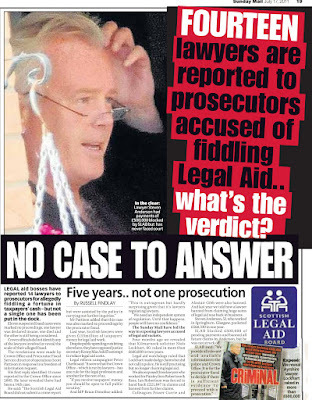 After consideration of the evidence, the tribunal’s decision found Anderson guilty of multiple failures including breaches of legal aid regulation. 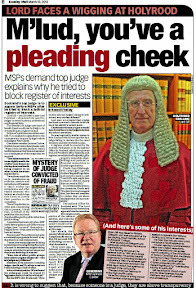 Anderson, a Glasgow based solicitor had previously appeared before the tribunal on two separate occasions, once in 1999 where complaints were thrown out, and again in 2008 where the tribunal found Anderson guilty of Professional Misconduct in respect of his failure to respond to correspondence and statutory notices from the Law Society, but let him continue working as a solicitor. 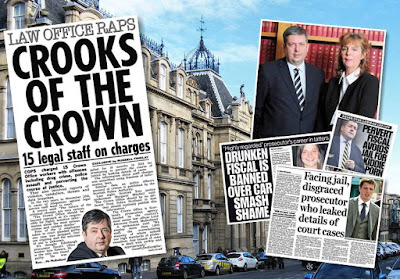 Clearly, much of the detail contained in the tribunal’s reports in relation to the above solicitors, will be all too familiar to clients and regular readers who have been forced to file complaints regarding similar poor conduct by their solicitors. 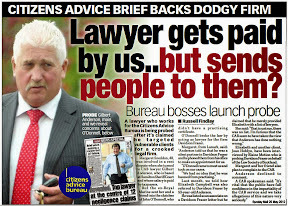 Time and again, particularly throughout the last twenty years, the same serious issues of lawyers deceiving their clients, taking the legal aid board for a ride, solicitors fiddling their own accounts, embezzlement, negligence, dishonesty, fraud, etc … crop up in case after case of complaints made by clients against their solicitors. 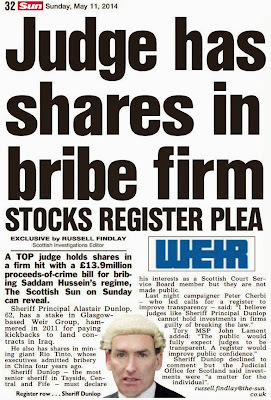 As things currently stand, this trend will continue as there are increasing numbers of solicitors and others in the legal profession who appear to have little incentive to be honest, and certainly do not fear the current, discredited system of self regulation where the old boys club of the Law Society of Scotland, the Scottish Legal Complaints Commission and the Scottish Solicitors Discipline Tribunal do their best to protect their colleagues in arms. 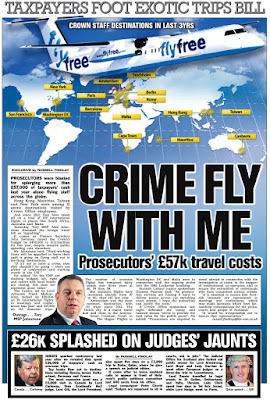 Add to that, a courts system headed by vested interests with an unhealthy opposition to transparency, those same vested interests who are too busy flying around the globe at taxpayers expense, increasing their undeclared earnings, connections & personal wealth by using connections with big name law firms who use the regulatory system to dodge complaints and ruin clients, you have the perfect recipe for the situation the Scottish legal profession now finds itself in – akin to groups of sharks on the hunt for a quick buck, some valuable trinkets left on a client’s mantelpiece, and a few nice properties once owned by deceased clients … and not one single criminal charge or investigation to worry about.